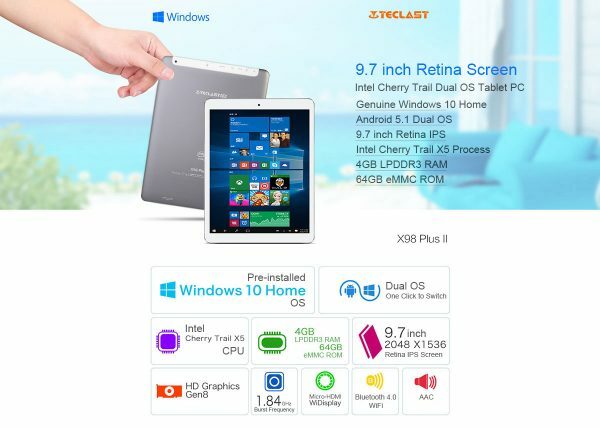 The Teclast X98 Plus II is a 2 in 1 tablet PC. Featuring a 9.7 inch screen with a 2048 x 1536 resolution screen, this features a 2k screen. The distinctive feature for this device is the fact that is supports two OS. 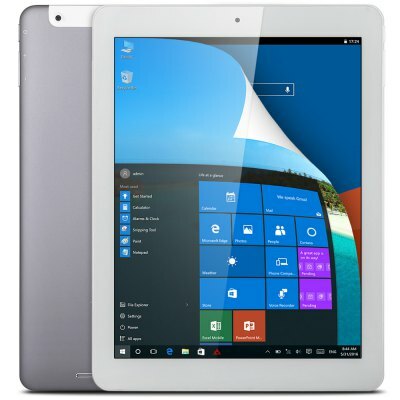 It runs both Windows 10 64 bit OS and Android 5.1. This means that you have the best of both worlds. 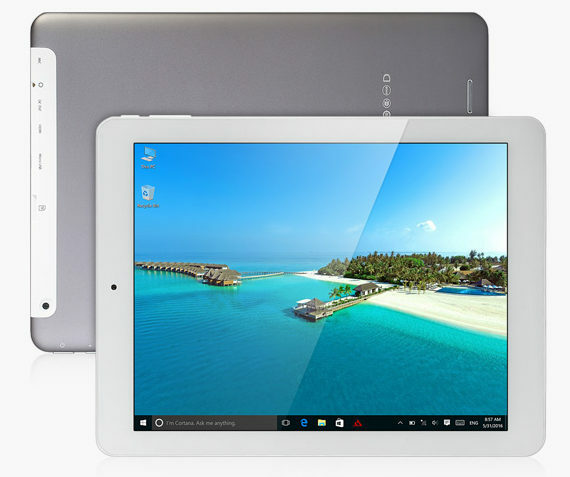 The device is powered by a fifth generation Intel Atom Z8300 processor, and comes with 4GB of RAM. It also features 8 generation Intel HD graphics. More information on the device as well as the link to buy it can be found on the GearBest website.